Fortuna Air Force Station (1952-1979) - A Cold War Air Force Radar Station first established in 1952 near Fortuna in Divide County, North Dakota. Named Fortuna Air Force Station after the location. Initially assigned a Permanent ID of P-27 and later a Sage ID of Z-27. Abandoned in 1979. FPS-35 Search radar (center). The power plant (right), and the FPS-26A Height Finder (bubble on left). Established in 1952 and became operational in April 1952 as Fortuna Air Force Station manned by the 780th AC&W Squadron. The station initially had both a Ground-Control Intercept (GCI) and early warning mission. The early warning mission involved tracking and identifying all aircraft entering their airspace while the GCI mission involved guiding Air Force interceptors to any identified enemy aircraft. Controllers at the station vectored fighter aircraft at the correct course and speed to intercept enemy aircraft using voice commands via ground-to-air radio. The Former Minot SAGE Direction Center DC-19. The site began operation as a SAGE site in 1961 initially feeding the Minot SAGE Direction Center DC-19. The search radar was upgraded to an FPS-20A with one FPS-6 and one FPS-6A height-finder radar. In 1963 the FPS-20A was replaced by an FPS-35 and one of the FPS-6s was upgraded to become an FPS-90. In 1963 Fortuna began feeding the Malmstrom SAGE Direction Center DC-20. In 1964 the remaining FPS-6 height-finder was replaced with an FPS-26A. 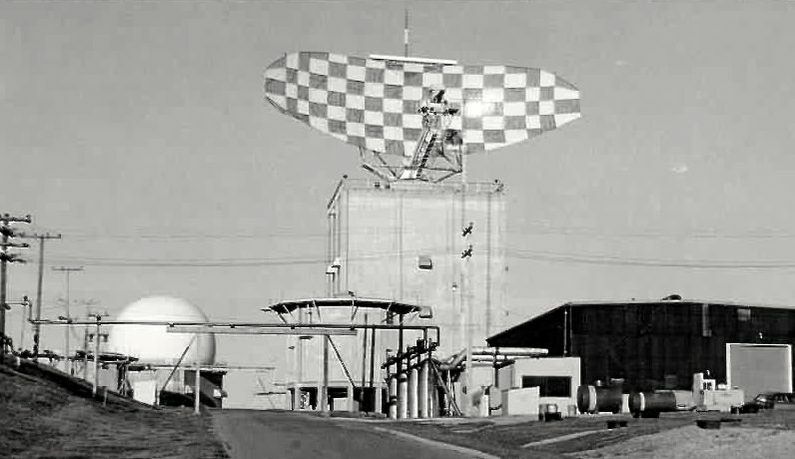 A violent storm in 1964 destroyed the large FPS-35 radar antenna and put that radar out of commission until a replacement antenna from Manassas Air Force Station was installed a year later. In the interim, an FPS-64 search radar was temporarily installed on the old FPS-20 tower. After a new FPS-35 antenna was installed the FPS-64 was removed. In 1969 the FPS-90 was removed leaving only the FPS-35 and FPS-26A radars. Both the FPS-35 and the FPS-26A were heavy long-range radars with electronic countermeasures, only 12 of the FPS-35s were built for the Air Force. The location and the radar capabilities assure the longevity of the site and also made it a platform for technology upgrades. As the need for a backup for the SAGE system developed, Fortuna AFS was subsequently chosen to host all thee phases of the SAGE Backup and Intercept Control (BUIC) system. BUIC I was a return to manual intercept control, BUIC II was an interim automated solution while BUIC III was a more capable automated solution. Technological change came to Fortuna with the BUIC II system and the Burroughs D825 (GSA-51) computer system. The BUIC II system officially went operational at Fortuna on 1 Mar 1966. Fortuna AFS was selected as a BUIC III site and in 1970 the 780th Radar Squadron (SAGE) became the 780th Air Defense Group (BUIC). The BUIC III system featured a more capable computer, the GSA-51A, and was able to accept inputs from more surveillance radar sites and control larger air defense sectors. The system also brought a replacement of the vacuum tube FST-2 with the solid state FYQ-47 in the early 1970s. As the threat from a Soviet bomber fleet lessened the decision to mothball the BUIC system came in 1974 and the station was closed five years later. Fortuna AFS and the 780th Radar Squadron were deactivated on 29 Sep 1979. The physical plant of the site was divided into the main site, a cantonment area, two housing areas and a radio site. The main site housed the operations building, the radar towers, and the power plant. The cantonment area housed the enlisted barracks, the bachelor officer's quarters, the orderly room, the dining hall, the motor pool and other support buildings. Apart from the main site were two small housing areas (45 units total) for married personnel. A separate radio site housed the radio equipment for directing aircraft intercepts. Like most early radar stations, Fortuna originally had a radio transmitter site and a separate radio receiver site used by local controllers for voice direction of fighter interceptors to their targets. With the SAGE System, the SAGE Direction centers had the primary task of directing intercepts and the local radio sites were reconfigured, usually into a single site that was known as the Ground to Air Transmitter Receiver (GATR) site. The GATR site communicated with the interceptors from either the local site or the SAGE direction center via voice commands and/or a digital data link. Abandoned in Fortuna, Divide County, North Dakota. Location: Near Fortuna in Divide County, North Dakota. Zoom out to see the GATR radio site. Cornett, Lloyd H. & Johnson, Mildred W., A Handbook of Aerospace Defense Organization (1946-1980), Office of History ADC, Peterson AFB, Colorado, 31 Dec 1980, 179 pages, Pdf, page 86, 168. This page was last modified 21:12, 7 January 2019 by John Stanton.